„Как да ги накараме да правят реформи, когато те не искат”, казва висш представител на ЕС на американския посланник миналата година. И още – „Червен картон за българския футбол заради корупцията”. 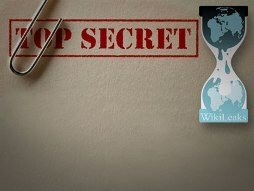 Испанския вестник El Pais, който си сътрудничи с Wikileaks при публикуването на секретните американски дипломатически съобщения, т.нар. Cablegate, днес публикува две нови телеграми на американското посолство в София., които със сигурност ще раздвижат сериозно духовете в българското политическо пространство. Първата е от юни 2009 г, и е подписана от тигавашния посланник Нанси МакЕлдоуни, а втората, от януари, 2010 г. е от сегашния заместник посланник Сюзън Сътън. И двете са с гриф: CONFIDENTIAL. Много имена, факти, изключително интересни констатации и заключения могат да се открият в тези документи. Анализите и скандалите несъмнено предстоят. XXXXXXXXXXXX —————————————— Judicial Reform — Fatigue and Frustration —————————————— 3. (C) XXXXXXXXXXXX said the monitors raised key issues with the GOB such as the appointment procedure for top judicial officials, vote buying, and progress in organized crime and high-level corruption cases. XXXXXXXXXXXX called the appointment/nomination procedure for the top judicial officials “non-transparent” because the vote on the nominees is secret and does not take into full account disciplinary actions against the nominees. Furthermore, the process lacks real debate among the Supreme Judicial Council (SJC) members on the nominees’ qualifications and does not allow the members to release “opinions” on why they voted for or against a nominee. The non-transparent procedure permits the selection of corrupt and/or incompetent judges and prosecutors to the higher courts, perpetuating the cycle of incompetence and corruption in the Bulgarian judiciary. XXXXXXXXXXXX said the entire team believes the Bulgarians only address issues in the Commission’s report to get a “good report,” not to create a better judicial system. For example, Prosecutor General Boris Velchev asked if his nomination of a certain person for a position in the prosecutor’s office would be recorded negatively in the upcoming Commission report. They replied to Velchev that if he thinks the nomination would be reported negatively, then it is a “good sign that it probably would be.” XXXXXXXXXXXX added that Velchev often asks how he is perceived in Brussels when they discuss reforms in the prosecution service. Another example is that Sofia City Court has two courtrooms specifically available for hearing EU funds fraud cases, while available courtrooms for other cases are hard to come by. 5. (C) XXXXXXXXXXXX told us that the Commission feels they have “tried everything” to make the Bulgarians reform their judicial system, but concluded “how do you make them reform when they do not want to?” The government’s defensive arrogance — and lack of political will — is intensifying enlargement fatigue in Brussels. He underscored that EC pressure via the monitoring reports and withholding EU funds are the only ways to produce results. He confirmed media reports that Dutch Minister of European Affairs Franz Timmermans requested the Commission to consider activating the safeguard clause against Bulgaria and Romania when the EC releases both reports. (Activating the safeguard clause in Justice and Home Affairs would mean that the European Union would not recognize Bulgaria’s legal decisions and exclude Bulgaria from legal and police cooperation.) XXXXXXXXXXXX said currently only The Netherlands is demanding the safeguard clause, but others are increasingly fed-up with Bulgaria (and Romania’s) lack of progress. There is talk within the Commission about extending the Monitoring and Verification Mechanism beyond the three years stated in Bulgaria’s and Romania’s EU Accession Acquis. Sweden, which holds the next EU presidency, favors extending the monitoring mechanism and is committed to pursue “rule of law issues” in both countries. 6. (C) The report’s release date hinges on EU internal political maneuvering for the formation and nomination of the new Commission and the election of its next president — a process that begins in July. XXXXXXXXXXXX told us that the team is preparing the report to be released the last week of July, but it may be published the second half of September if the new Commission formation is drawn out. The team’s report will be critical, saying overall reform has stopped, but likely the final EC report will be “watered down” as in the past for political reasons. 7. (C) COMMENT: XXXXXXXXXXXX’s frustration with the Bulgarian government’s lame and insincere reform efforts was striking. It appears to be spreading in Brussels where at least the working level appears to be feeling “buyers remorse” over letting Bulgaria and Romania into the club too early. According to reliable contacts, Brussels Eurocrats have dubbed enlargement fatigue the “Bulgarian Break,” further tarnishing Bulgaria’s bad image within the EU (REFTEL A). END COMMENT. Classified By: CDA Susan Sutton for reasons 1.4 (b) and (d). many of its talented players to wealthier European clubs abroad, it is still a Bulgarian passion. The pinnacle of Bulgarian soccer was the 1994 World Cup, when Bulgaria defeated Germany to advance to the semi-finals, eventually finishing fourth overall. To this day, many Bulgarians only half jokingly refer to this as the country’s greatest accomplishment since the fall of communism. After the transition to democracy, popular teams previously owned by the municipalities and state institutions such as the military or the police were sold to the new business elite notorious for its close ties with organized crime and the former secret services. Experts and journalists we interviewed claim that organized crime groups captured Bulgarian soccer in an effort to launder illicit profits and create a legitimate image. Today, nearly all of the teams are owned or have been connected to organized crime figures. The following list is just a sampling of the most well-known connections. 3. (C) Todor Batkov, the proxy and front-man for the infamous Russian-Israeli businessman Michael Cherney, aka “Mikhail Chorny,” owns the popular Sofia team Levski FC. The powerful business conglomerate TIM owns Cherno More Varna. The notorious Marinovs, aka “Margin brothers,” who are on trial for murder, racketeering, and organized crime, own Slavia. Nickolay Gigov, an alleged arms dealer, owns Lokomotive Sofia, and Grisha Ganchev, a known money launderer and organized crime figure, owns Litex. Vassil Krumov Bozhkov, aka “the Skull” was the former owner of CSKA, one of the most important Bulgarian teams. The last three presidents of Lokomotive Plovdiv, which has been periodically owned by the crime group VIS, have been assassinated. match between Levski and CSKA, the most important rivalry in Bulgarian soccer. Immediately prior to the match, four Levski players were put on a plane to Moscow as part of a last minute transfer to the Russian team, FC Rubin Kazan. Shortly after Levski’s 2-0 loss to CSKA, it became clear that the transfer was a hoax and that the President of Levski, Todor Batkov, had been defrauded of the Euro 200,000 transfer fee. The local press reported that the odds for CSKA winning the game fell dramatically before the announcement of the transfer, possibly indicating large amounts of money bet against Levski. Theories on what really happened vary, but the most popular are that Batkov bet against his own team to pay back debts, or that the new owners of CSKA orchestrated the transfer. Despite preliminary investigations into the case, there have been no arrests. 5. (C) Long-standing allegations of match fixing have probably done the most to damage Bulgarian soccer’s reputation. According to the sports editor of the daily “Trud,” Vladimir Pamukov, and sports journalist, Krum Savov, the most common match fixing schemes are bribing referees and paying off players on the opposing club to insure a team loses by a certain score. They argue that thanks to organized crime influences and economic disparity between the teams, match fixing has become an extremely common practice. This has caused many Bulgarians to view the outcomes of soccer matches like Americans view the predetermined outcomes of professional wrestling. Pamukov highlighted the fall in television ratings and crowds at soccer games as evidence of this disillusionment, claiming that prior to the transition there would be 10,000 people at games and now 500 to 2,000 show up. arrests and evidence of corruption, cases often come to nothing or the accused are acquitted due to a lack of evidence. Ivan Lekov, a well-known former soccer referee and deputy head of the State Agency for Sports and Youth, was arrested in 2008 before TV cameras for allegedly orchestrating match fixing. Four former soccer referees broke their silence, claiming Lekov and the head of the Bulgarian Football Union’s (BFU) referee committee applied pressure on them to fix matches. Following Lekov’s arrest, the BFU dismissed the entire referee committee for the first time and passed a code of ethics for clubs. Despite these changes, match fixing has not dissipated and Lekov, often cited by the previous government as an example of its anti-corruption efforts, was acquitted due to a lack of evidence and witnesses refusing to testify. On December 14, 2009 the executive committee of the BFU, in what is becoming an annual tradition, again fired the entire referee commission due to match fixing rumors. It also suspended two referees for poor officiating in recent league games, leading to even more suspicions. The Union of European Football Association (UEFA), the governing body of European soccer, also is investigating Bulgarian referee Anton Genov for his alleged involvement in fixing an international match. According to the UEFA, there were obvious irregular betting patterns prior to the international friendly match on November 14, 2009 in which Genov awarded four penalty shots during Macedonia’s 3-0 victory over Canada. is currently checking whether the property of 261 players matches their declared income. The former president of CSKA, Alexander Tomov, and three co-defendants were also charged with embezzlement of USD 28 million in their official capacity at the CSKA soccer club and the Kremikovtzi steel works. 8. (C) Comment: Organized crime has had a destructive impact on Bulgarian football, mirroring to some extent how it has destroyed Bulgarian’s faith in other institutions. The new government has started to attack some of the soccer clubs’ most overt corrupt practices. Given the public’s interest in soccer, which still is weekly tabloid fodder, a successful operation against OC bosses in charge of soccer teams would be a public relations coup. Going after the OC bosses, if successful, would be a public and popular campaign that would demonstrate the seriousness of the new government and its soccer-fanatic Prime Minister in combating organized crime. Government actions against soccer clubs would directly challenge the criminal bosses who have previously enjoyed virtual impunity and would seriously test the strength and resolve of Bulgarian law enforcement and courts. End Comment.